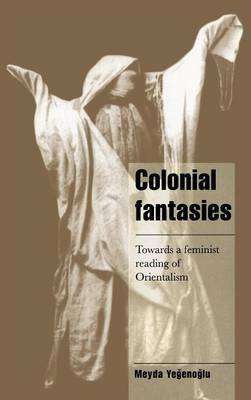 In this 1998 book, Meyda Yegenoglu investigates the intersection between post-colonial and feminist criticism, focusing on the Western fascination with the veiled women of the Orient. She examines the veil as a site of fantasy and of nationalist ideologies and discourses of gender identity, analyzing travel literature, anthropological and literary texts to reveal the hegemonic, colonial identity of the desire to penetrate the veiled surface of 'otherness'. Representations of cultural difference and sexual difference are shown to be inextricably linked, and the figure of the Oriental woman to have functioned as the veiled interior of Western identity.